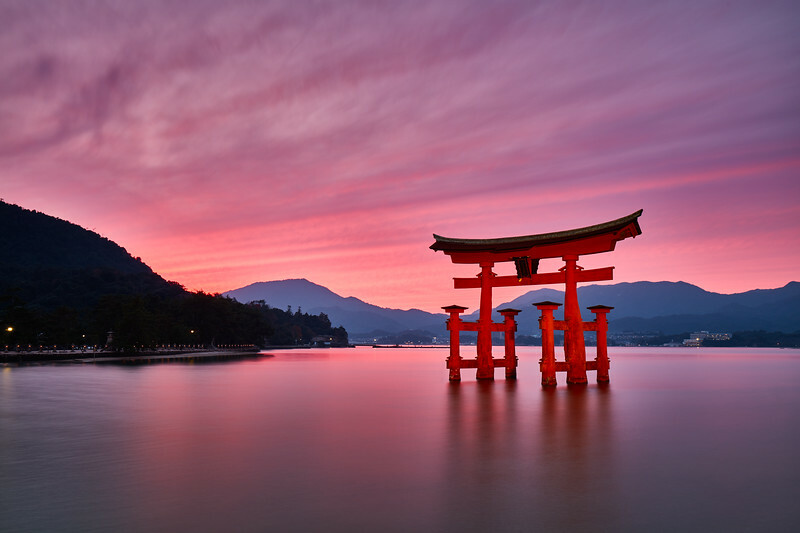 This photo was taken at Miyajima, a place I should have visited a long time ago but never did. In a way, I'm happy I waited long enough for my photography skills to be a little sharpened up, as I was able to take advantage of the seemingly cloudy weather (something that might have put me off a few years ago). Itsukushima Shrine is well known by Japanese as one of the best 3 views in Japan (as defined in 1643) and is a popular destination for tourists for its floating Torii portrayed here (the other 2 views are beaten by many other locations now, in my humble opinion) but also remains a major spiritual centre.